This Project was implemented on behalf of SDC by the Swisscontact / Skat working consortium. Its phase goal was to reduce emission of GHG in the construction sector to mitigate global warming and environment degradation. Skat has been entrusted with the technical overall responsibility of building up the required skill and capacities to locally anchor and commercially disseminate the VSBK technology in South Africa in a sustainable manner. South Africa is, compared to other countries (India, Nepal, Afghanistan, Pakistan), highly advanced in terms of green brick production mechanization, skills and business management. 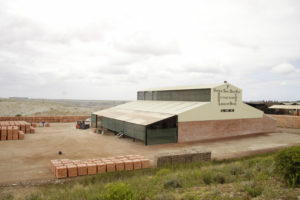 The advanced brick making culture of South Africa demands exceptionally high design, construction and operation quality assistance of local Skat VSBK entrepreneurs. For this purpose, Skat is managing the coordination of the global “VSBK expert pool” to ensure the south – south approach as well as the integration of international working experience of the globally leading VSBK and other brick sector related experts for this project.